One of my favorite cities on our first VISIONS Across America trip was Austin, Texas. I liked the food, the music, the architecture, the healthy culture, and the “keep Austin weird” vibe. I also liked the people! I’ve written some stories about the Iowa State folks we met in Austin, and I’ll be posting them in the coming weeks. 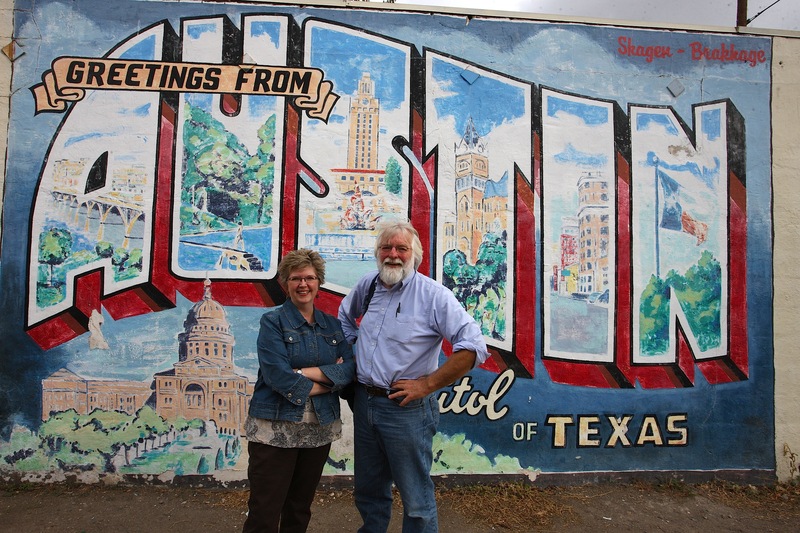 Meanwhile, here’s a cute picture of Jim and me in front of an Austin sign, taken by Linda Wagner (’04 psychology).